1. Elizabeth Florence Maud Sherlock (reg. 1900/52) married 1stly John Corcoran Fleming, married secondly Douglas Roy Blair. Died 18 February 1969 aged 68 years, buried Andersons Bay Cemetery, Dunedin. 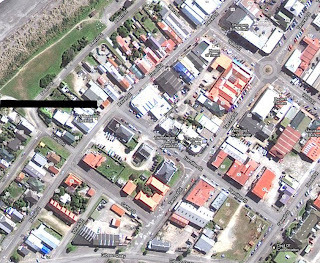 Westland Studio, Revell Street, Hokitika - September 1906 to February 1908? Paeroa has for several years past been wanting an up-to-date photographer, and we are pleased to say that this want is about to be filled, Mr. A. Sherlock who comes with the reputation of being a first-class photographer having decided to commence business here on the 5th of November. That Mr Sherlock means business goes without saying but we would like to mention that in order to give his patrons the best of work, he has gone to cansiderable (sic) expense in erecting a large studio and we can assure our many readers that his work is equal to that of our metropolitan photographers. 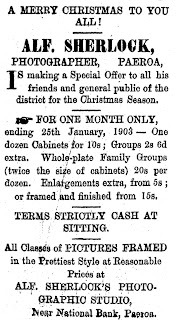 Mr Sherlock has decided in order to give the trade a fillip, that during the first fortnight cabinets will be produced at 12s 6d per dozen, in addition to which an enlargement on opal will be given away gratuitously to those who take not less than the dozen cabinets. 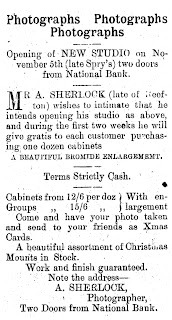 This special concession will only be made during the first, fortnight, and we are sure that it will be much appreciated by those who are fortunate enough to be "shot by the camera" at Mr Sherlock's studio during the first two weeks of November. The studio is situated in Normanby Road, at Mr W. Spry's late bootshop, a few doors beyond the National Bank. Mr Sherlock's advertisement will appear in the next issue. Mr A. Sherlock, photographer, has an advertisement in this issue to which we direct the attention of our readers. 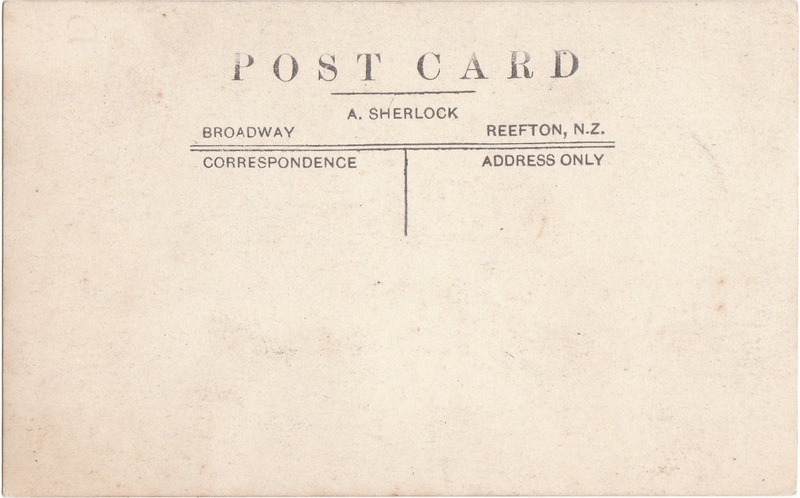 Mr Sherlock has fitted up his studio with splendid scenery and effects, and as his work and finish is equal to that of Auckland photographers, and far superior to anything of the kind Paeroaites have yet had placed before them, we trust that he will be well rewarded for his enterprise in erecting and fitting up a studio in Paeroa. 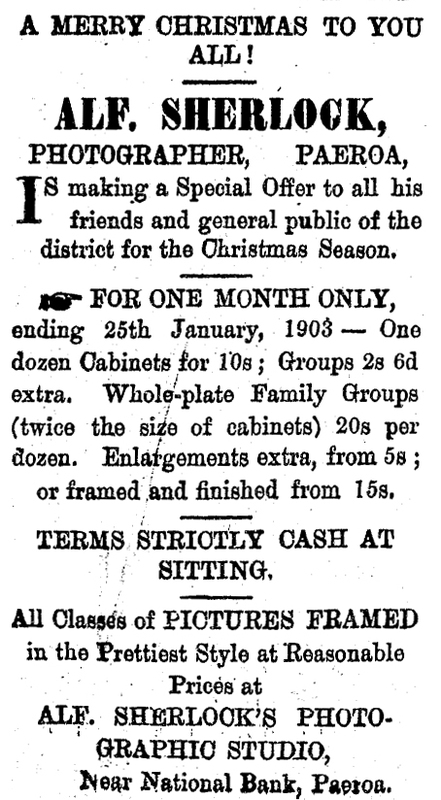 His terms, too, are exceptionally low, and as will be seen by his advertisement he intends to give every purchaser of a dozen cabinets, during the first two weeks, a beautiful bromide enlargement. He also notifies that he has a splendid assortment of Christmas mounts. The studio opens on November 5th, upon which date and afterwards he will be prepared to do business. A wedding which created a large amount of interest took place at the Methodist Church yesterday. 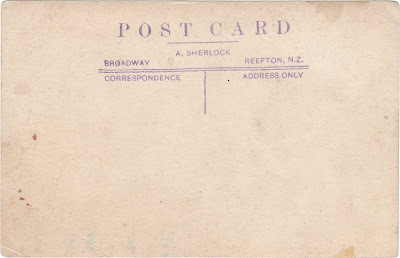 The contracting parties were both residents of the district, the bride being Miss E. S. Ashby, lately of the Thames, eldest daughter of Mr W. Ashby, lately of the Thames, but now at Reefton, and the bridegroom, Mr Wm. 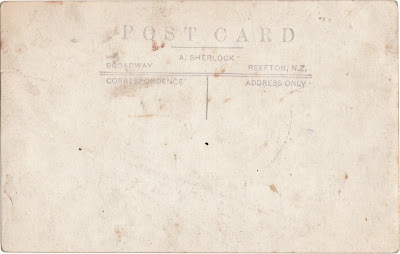 Alfred Sherlock, our local photographer, eldest son of Mr Sherlock, of Reefton. The bride, who looked-charming in a cream cashmere with-satin trimmings and veil, was given away by her father, who came from Reefton for the occasion. She also carried a pretty boquet, and was attended by her sister, Miss Elsie Ashby, of Komata, and Miss Radford, of the Thames, both being prettily dressed in white. Mr McMikan acted as best man. The church was well filled, quite a number of friends coming from Te Aroha and the Thames to witness the occasion. The ceremony was performed by the Rev. Mr Greenslade. On leaving the church the happy couple were showered with rice. The bridesmaids presents from the bridegroom were a handsome' gold chain bracelet and brooch. After the wedding party had visited the studio, they were driven to Mrs Mclndoe's residence, where the wedding breakfast was partaken of. The happy couple were the recipients of a large number of useful, and costly presents. An interesting, but by no moans appetising, exhibit is at present on view at the County Council office. It consists of photographs of the organs of a bullock slaughtered at the County abattoirs, the animal being badly infested with tuberculosis. The heart, liver,and lungs are all far larger than the normal size, and are thickly encrusted with tubercles. A photograph of the diseased animal's heart, along with that of a healthy animal, is shown, the difference in size being amazing, that of the diseased beast being twice the size of the healthy one. It is stated that before being slaughtered the bullock was to all appearances — at anyrate, to anyone but an expert —thoroughly healthy, but when it had been killed the state of affairs stated above was found to exist. The animal was, of course, promptly condemned by the inspector, Mr F. Beattie, and the carcase Was destroyed. 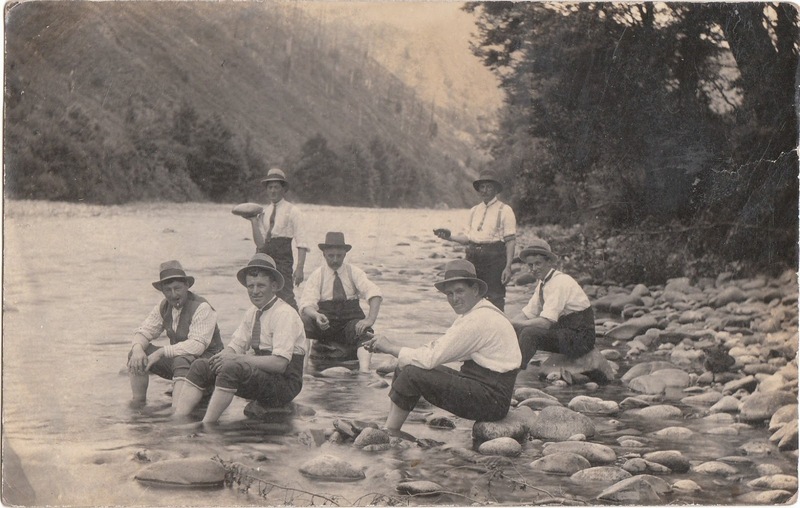 The photographs were taken by Mr Sherlock, photographer of Paeroa. This notice continued in the Ohinemuri Gazette until 22 May 1903. 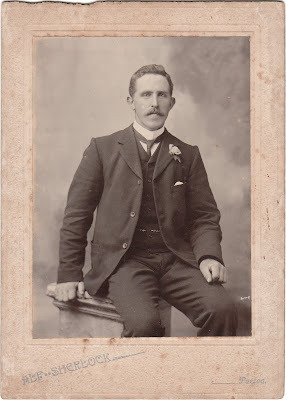 A case of a peculiar nature came before Mr R. S. Bush, S.M., yesterday, when Thomas Snodgross sued A. Sherlock, photographer, for £10 damages for refusing to supply him with copies of some photographs. Mr Moss appeared for the plaintiff, and Mr Porritt for the defendant. From the evidence it appeared that Mr Sherlock took some photographs of the party at the grave when Mr Snodgrass' son was buried recently. 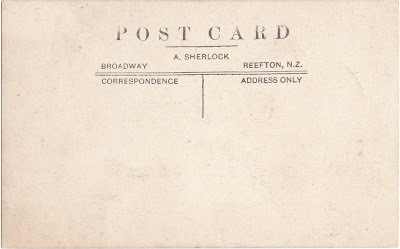 The order to take the photographs was given to Mr Sherlock by Miss Snodgrass (sister of the plaintiff) through Mr Hudson. 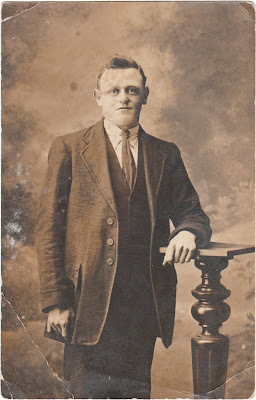 Plaintiff, contended that Miss Snodgrass was only his agent in the matter, but Mr Sherlock said that he had received the order from Miss Snodgrass, and as she had given him instructions not to supply anybody with copies of the photographs he declined to give Mr Snodgrass any copies. 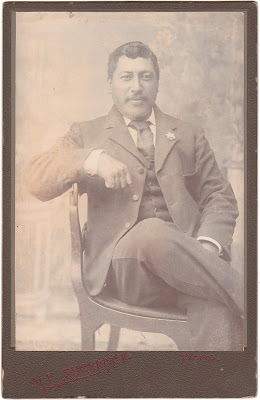 Plaintiff gave evidence to the effect that Miss Snodgrass was simply, his agent in the matter, but Miss Snodgrass' evidence was to the effect that she had the photographs taken on her own account and had paid for the copies she had received. She had intended giving Mr Snodgrass a copy, but had afterwards changed her mind. 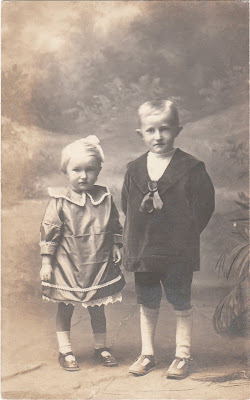 The Magistrate non-suited the plaintiff, and said that though probably there had been some misunderstanding, he could not order the photographer to supply plaintiff with copies of the photographs, as he had taken his instructions from Miss Snodgrass and understood her to be the principal in the matter. Plaintiff was also ordered to pay the defendant's costs. 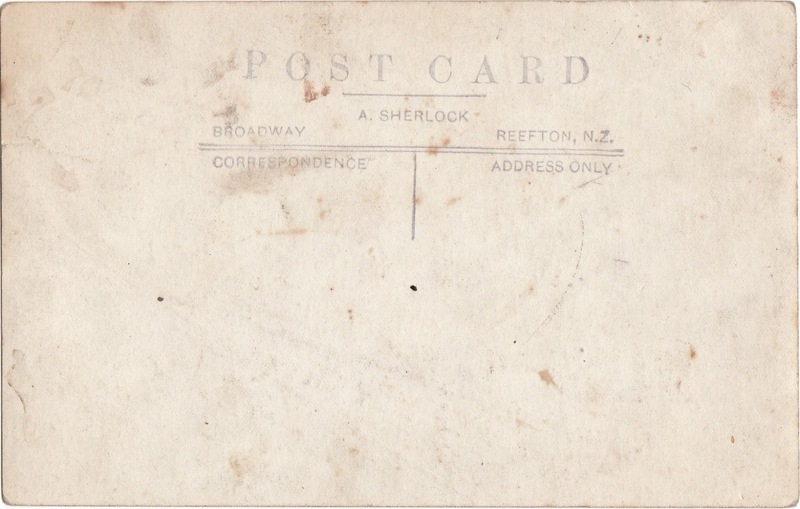 Mr Sherlock, who has been in business in Paeroa as a photographer, leaves for Reefton in a few days, and intends starting business in that township. 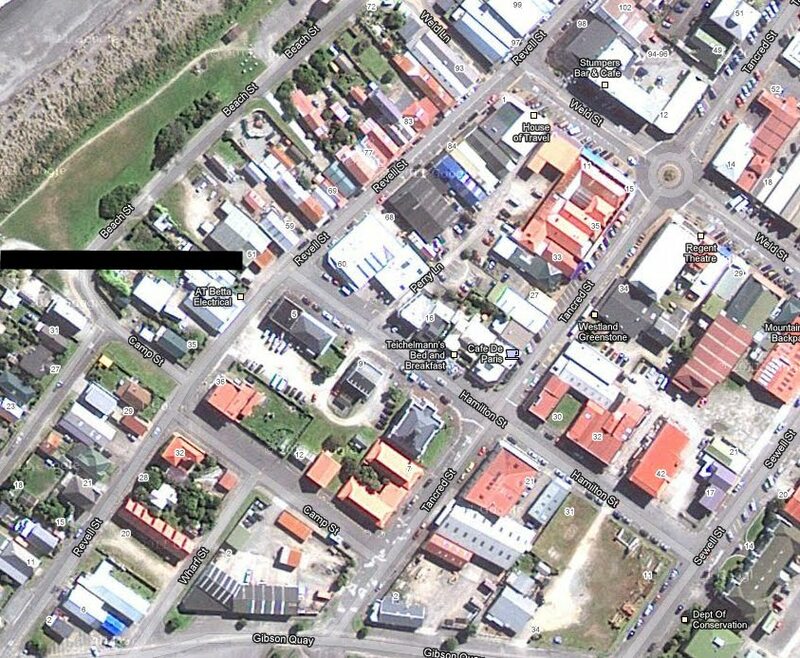 Mr Alf Sherlock has opened a photographic establishment in Revell Street [Hokitika]. The display of portraits in his window on Saturday evening attracted a large amount of attention. This notice first appeared in the West Coast Times on 15 September 1906 and continued until 11 April 1907. 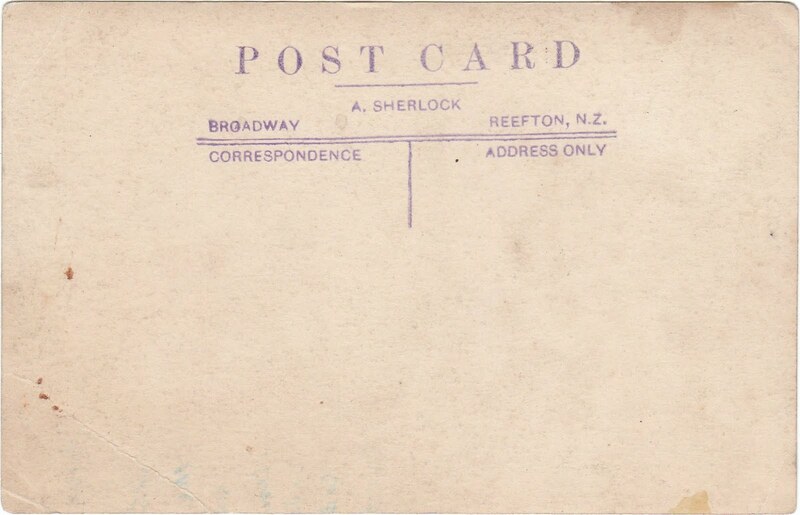 Mr A. Sherlock has commenced business in Revell Street as a photographer. He is displaying a large number of portraits in the premises, the work being of a high class nature. Reasonable prices and faithful work are guaranteed, and special inducements are offered the pubic in regard to family and wedding groups. Further particulars appear in another column. An excellent display of artistic photographs is now on view at Mr A, Sherlock's studio, Revell St. This notice first appeared in the West Coast Times on 12 April 1907 and continued until 29 April 1907. When the studio reopened it was referred to as the "New Westland Studio". Mr A Sherlock, photographer, has an important announcement in this issue, which is especially interesting to ladies. 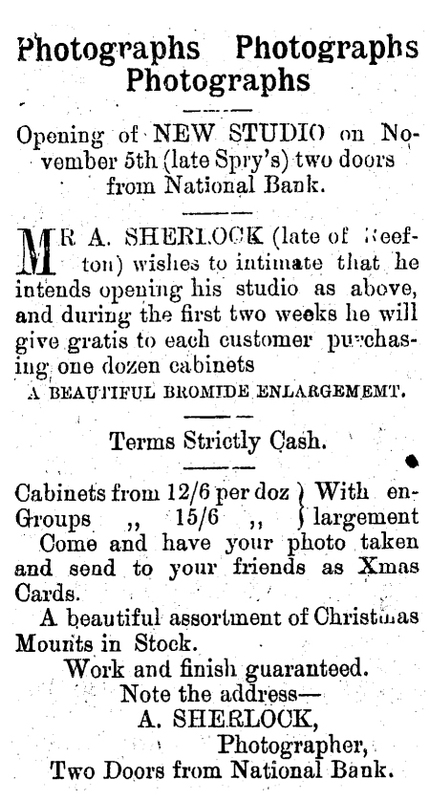 Mr Sherlock has decided to present all ladies in Hokitika who have their photographs taken at the studio with an artistically finished bromide cabinet portrait. This exceptional offer is open for one week from tomorrow. West Coast Times, Issue 14102, 30 April 1907, Page 3. This notice first appeared in the West Coast Times on 30 April 1907 and continued until 11 May 1907. This notice first appeared in the West Coast Times on 13 May 1907 and continued until 22 February 1907. The local photographic firms of Messrs Sherlock & Co and the Tasma Coy are turning out exceedingly creditable work at present. At both studios some excellent work is being shown. At Mr Sherlock's studio this evening a splendid assortment of photographic work will be exhibited, Mr Sherlock's work is well known throughout the Coast as being of a highly artistic nature. Special quotations are given for family and other groups, of which a number will be on view this evening. 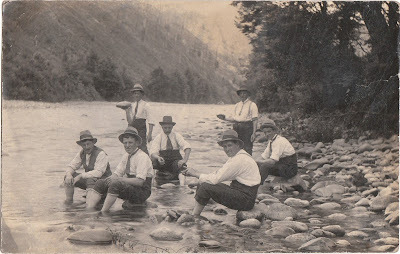 Patrons may procure photographic work in any stile (sic) and at all prices. Look at the shop window this evening and judge for yourself. Mr A Sherlock, Revell Street, is now holding a clearing sale of pictures, mouldings, photo and other frames which are being disposed at exceedingly low prices. Inspection is cordially invited, Advt. see - William Main, "Facing an Era" (2006), p82. above - a photograph by William Alfred Sherlock, Broadway, Reefton of an unidentified man. 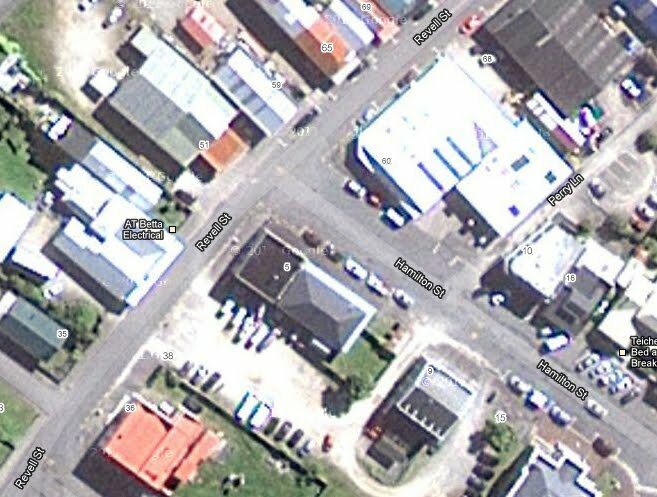 Alfred Sherlock's studio was located in Revell Street, Hokitika opposite Hamilton Street.